Anyone that knows me understands that I can’t sit with a stock Android device for long. So far I have had a Barnes and Noble Nook Color that I rooted the first night of owner ship and installed CM7 as soon as the community ported over the code to it. I later Owned an LG Optimus S and I rooted it and installed a custom recovery and ROM. I went with CM7 on that device as I enjoyed CyanogenMod on my Nook and after trying other ROMs on my Optimus, I found myself longing for the tweaks and style that the CyanogenMod team provides. Last August I upgraded to an HTC Evo LTE. I decided to go with that as opposed to a Samsung S3 due to my brother having one and the fun of working on the same phone and because I liked the hardware of the EVO. It looked and felt like it was really well built. I then waited until this month to root because most of the mature ROMS available were Sense based. If you are unfamiliar with HTC Sense it really gets in the way of an enjoyable Android experience. The biggest issues being the limited multitasking, app associations defaults being messed up and the camera refocusing constantly while I took videos or pictures. I wanted to get as far away as I could to Sense. 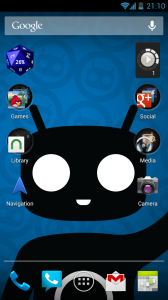 So this morning I prepared my phone for loading a custom ROM by first achieving S-Off with LazyPanda. The information on the Unlimited.IO website made the process very easy. As a note my phone was on Hboot 1.12 (I never upgraded my phones software). Others with an Hboot higher than that will need to use HTC Dev Unlock to install a custom rom. With HTC Dev Unlock a person can do most everything S-Off can but it takes a few more steps. [RECOVERY][EVO4GLTE] TWRP 2.2.2.0 with on-screen keyboard! So at that point my bootloader was unlocked and I had a custom recovery installed. I was then ready to install a ROM. 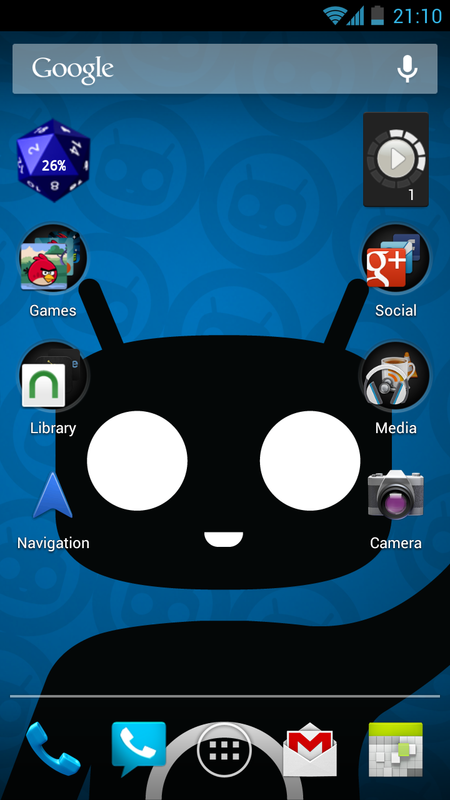 At this point I went to the CM10 thread on XDA. Reading the comments it seemed Jelly Bean for the EVO was stable enough for my use. Your opinion or results may differ so please read the thread there. I downloaded the zip file for CM10 along with a separate zip for Google Apps. I then backed up my applications with Titanium Backup. This made some setup later easier. I then rebooted into recovery and another backup in TWRP. You can’t have too many backups! I then did a factory reset, cleared cache and installed the zip. After resetting the phone kept booting into recovery. I ended up flashing the rom three separate times before it loaded properly. I honestly don’t know what made the difference. After successfully loading CM10 I recovered my apps using Titanium. One of the individuals in the Freenode IRC chat for #htc-evo-4g-lte recommended clearing Dalvik Cache after loading my apps so I did that. So far everything has been running great and my phone is looking much happier!